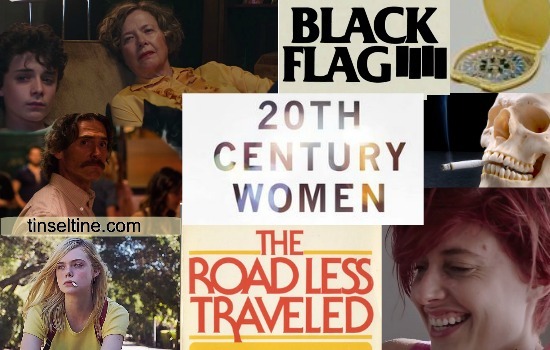 Writer/Director Mike Mill’s semi-autobiographical movie 20th Century Women stars Annette Bening as Dorothea Fields a late in life mother raising a 15 year-old son, Jamie (Lucas Jade Zumann) in the late 1970’s in Santa Barbara CA. Their home purchased at auction was once a sprawling Victorian mansion, but is now barely livable, however little by little Dorothea is restoring the home with the help of a border William (Billy Crudup) a hippy who also restores vintage cars, he once tried to live on a commune but found that lifestyle too far out even for him. Dorethea wants Jamie and William to be friends, since her son’s father is barely ever present in Jamie’s life, she worries that he needs a male connection; but the two don’t hit it off. So she decides to change tactics and enlist the help of another border, Abbie (Greta Gerwig) a photographer, feminist with dyed red hair tinged with fuchsia. And also Jamie’s childhood friend, a 17 year-old Julie (Elle Fanning) who Jamie is now interested in romantically, yet despite constant sleep overs in Jamie's bed and many sexual exploits with other boys in school, Julie wants things between she and Jamie to remain platonic. T&T Does Not Agree... All these topics fit into the story and tone of the movie, I never felt it was reaching to do too much. 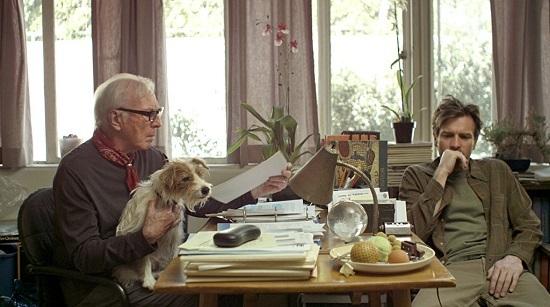 Mike Mill’s also wrote and directed Beginners (click for T&T post) in 2011, which was also semi-autobiographical starring Ewan Macgregor as a son dealing with his 70 year-old father coming out as a gay man. That role won Christopher Plummer a Best Supporting Oscar. Bening has two more movies coming out this year. Film Stars Don't Die in Liverpool with Jamie Bell (Tin Tin & Billy Elliot) based on the memoir of British actor Peter Turner and follows his passionate relationship with an older eccentric Award-winning actress Gloria Grahame. Then she also plays a fading actress (Irina Arkadina) in an adaptation of a Cheov play The Seagull which also stars Saoirse (Ser-sha) Ronan (Brooklyn), who will also star in Greta Gerwig’s directorial debut due out later this year, a high school comedy called Lady Bird.